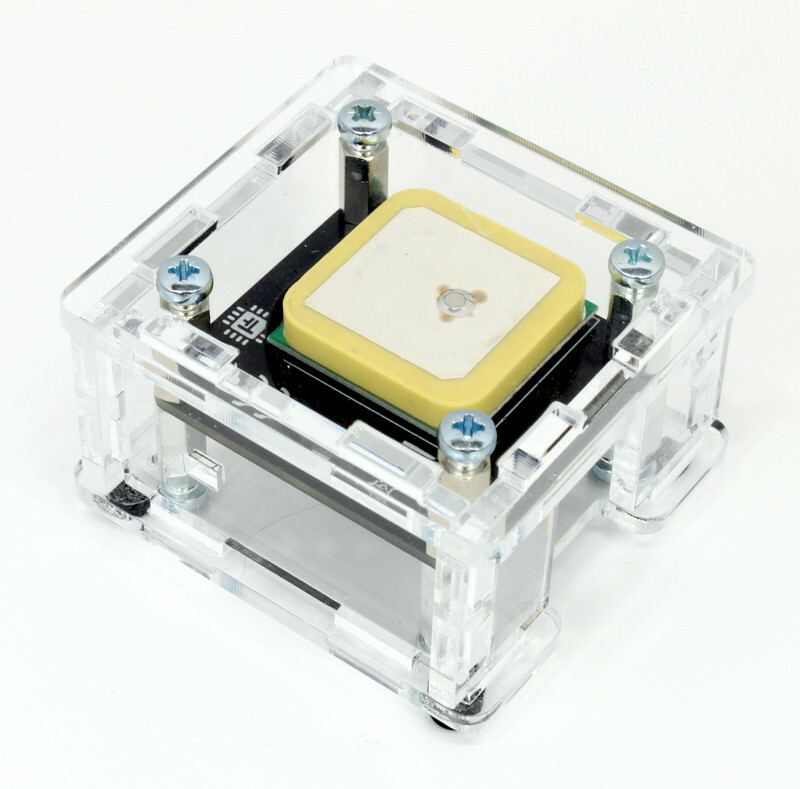 The GPS Bricklet 2.0 can be used to extend Bricks by the possibility to determine their position via GPS. Additionally it is possible to receive movement (direction and velocity), altitude (altitude and geodial separation), as well as high precise time/date information and PPS signal. Current values for elevation, azimuth and SNR for each of the GPS and GLONASS satellites can be read out. 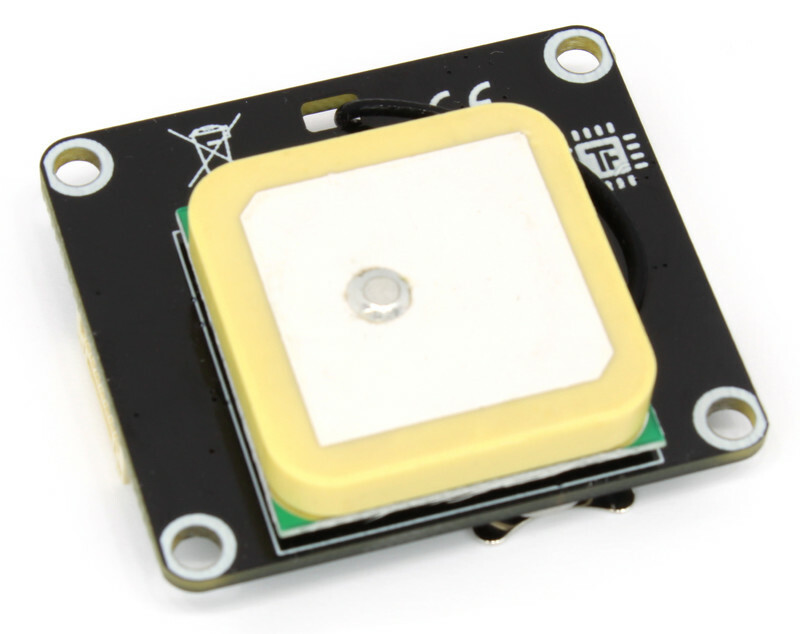 The GPS module is optimized to get a fast fix, has a high input sensitivity (-165dBm) and a update rate of 10Hz suitable for drones or the like. Internal interference canceller rejects RF interference from other devices like Bluetooth or Wi-Fi. 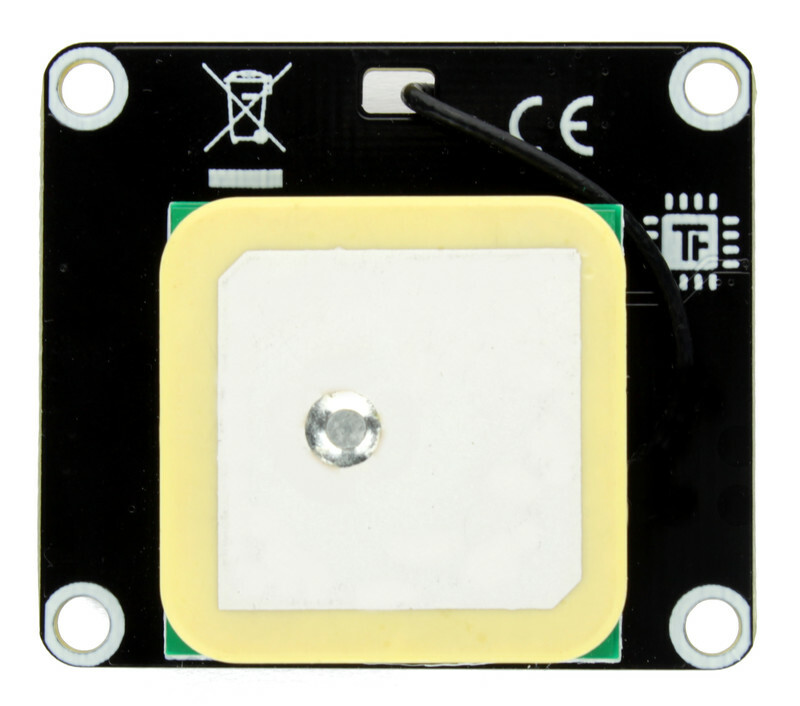 A 25 x 25mm active patch antenna with high gain is permanently attached to the bottom side of the Bricklet and connected by a U.FL connector. You can remove the connector and connect your own external antenna. A CR1025 coin cell battery is also included. It is used as a battery backup for the last satellite position data. With this information a fix can be obtained faster if the power was lost. 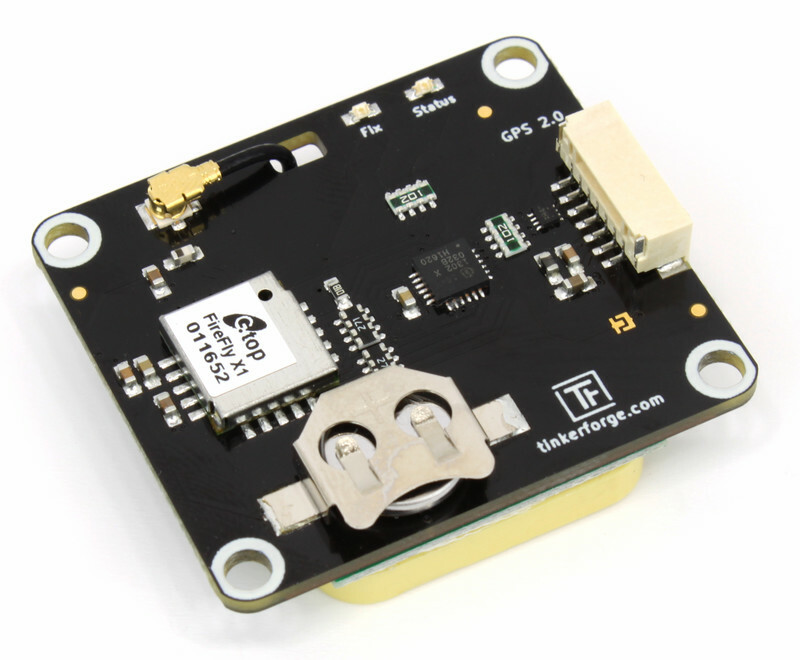 The GPS Bricklet 2.0 has a 7 pole Bricklet connector and is connected to a Brick with a 7p-10p Bricklet cable. 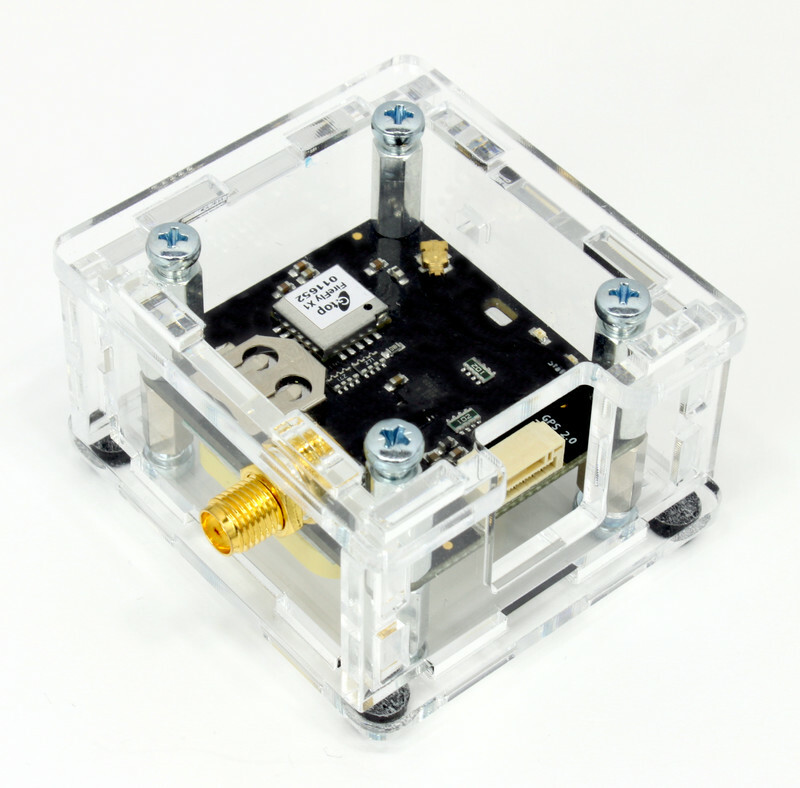 The GPS Bricklet 2.0 does not have an internal antenna. An external antenna has to be connected to the U.FL connector. 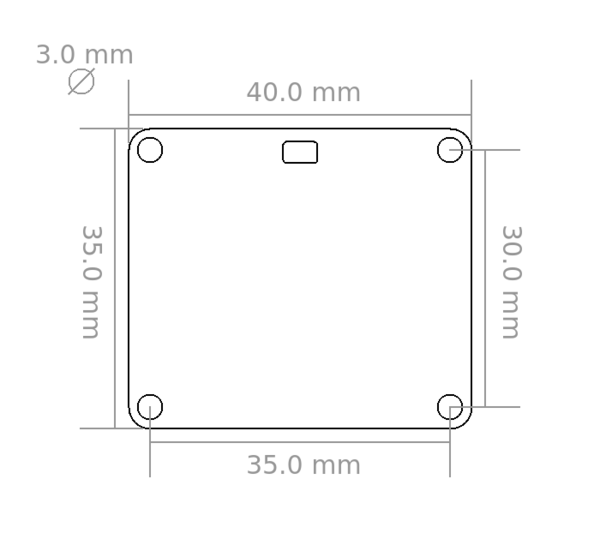 The connector is short-circuit protected and supplies the antenna with 3.3V/20mA. A compatible 25 x 25mm patch antenna is included with the Bricklet and attached to the bottom. You can disconnect the U.FL connector and connect your own antenna. A compatible antenna with a long lead is available in the shop. 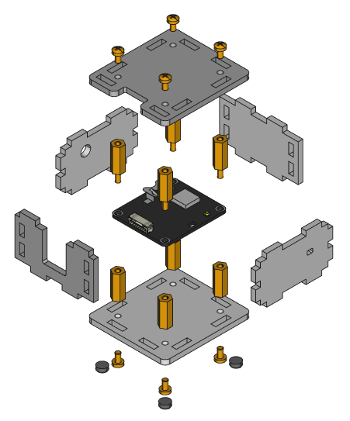 The antenna should always look upwards, so if you use the antenna that is attached to the bottom you need to mount the Bricklet accordingly. 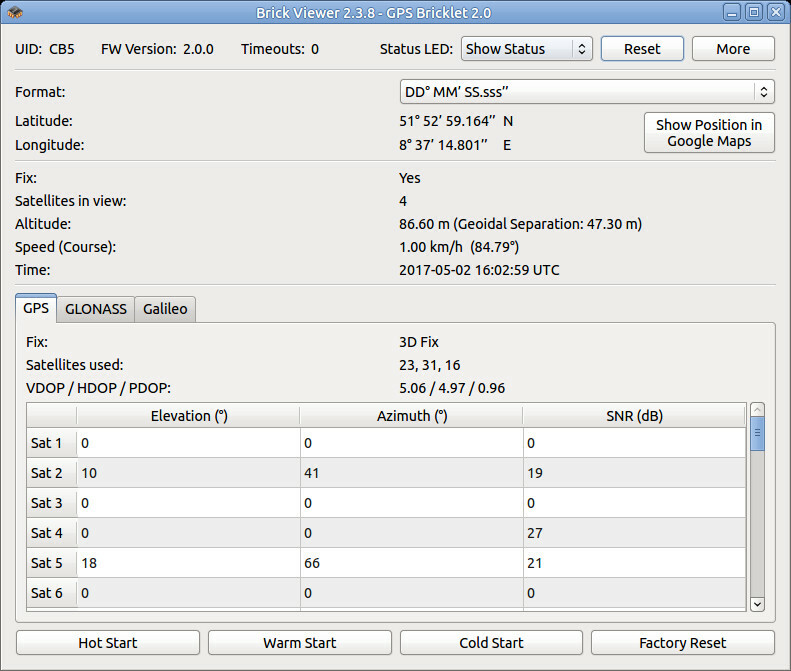 To test a GPS Bricklet 2.0 you need to have Brick Daemon and Brick Viewer installed. Brick Daemon acts as a proxy between the USB interface of the Bricks and the API bindings. Brick Viewer connects to Brick Daemon. It helps to figure out basic information about the connected Bricks and Bricklets and allows to test them. 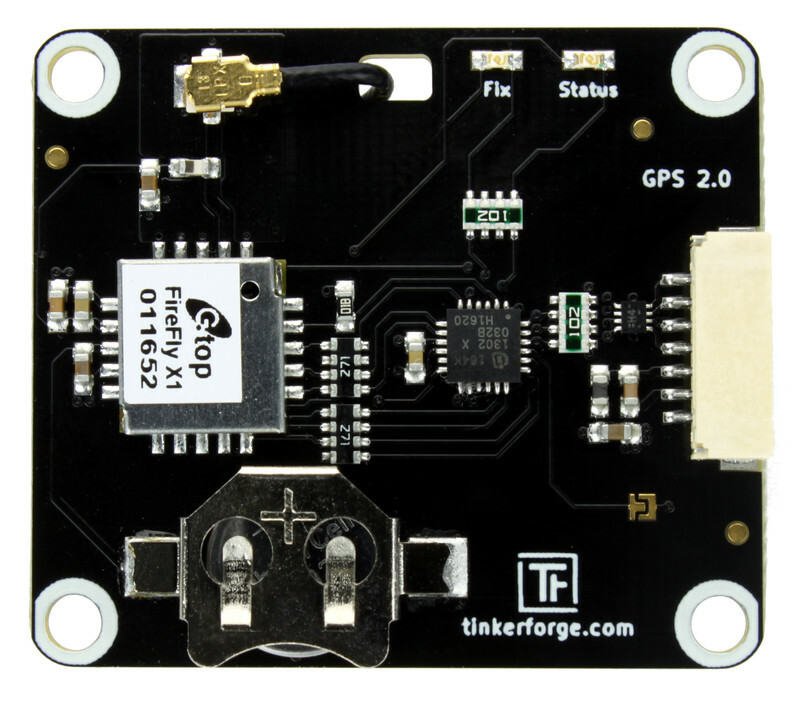 Connect the GPS Bricklet 2.0 to a Brick with a Bricklet Cable. If you connect the Brick to the PC over USB, you should see a new tab named "GPS Bricklet 2.0" in the Brick Viewer after a moment. Select this tab. If everything went as expected the Brick Viewer should look as depicted below. After this test you can go on with writing your own application. 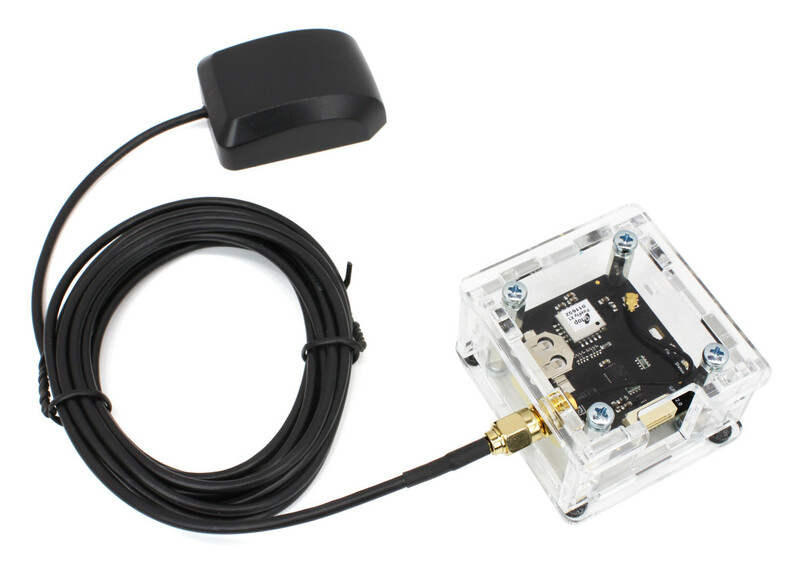 See the Programming Interface section for the API of the GPS Bricklet 2.0 and examples in different programming languages. The green LED labeled "Fix" indicates the status of the position data. The LED blinks during fix acquisition and is turned on if a fix is achieved. If the GPS module is battery powered the LED is turned off to save power. A laser-cut case for the GPS Bricklet 2.0 is available. 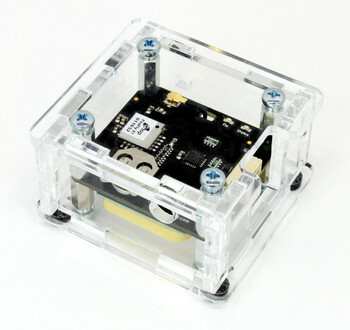 The case has a hole for a U.FL to SMA adapter cable that can be used to connect an external SMA antenna instead of the antenna that is glued to the bottom of the Bricklet.